I have worked on these pencil cases over the last few months and I finally have a huge stash of them available for immediate shipping (over 60 pencil cases!). :) The fabric of the pencils/lining will vary but will be rainbow very similar to the sample zipper cases shown below. You can choose your pencil case by zipper/lining color. This means that if you choose aqua, you will receive a pencil case with aqua zipper and an aqua lining. :) Some zipper colors are more limited than others. If Paypal won't let you add your first choice color to your shopping cart, it means that color of zipper has sold out. These make awesome stocking stuffers! Zippered pencil pouch measures approximately 9" x 4 1/2". Please note that I did not design this pouch. You're paying for the fabric and my time, not the design. The fabrics used for the pencils vary from case to case. I use an assortment of fabric scraps from my stash. The lining generally matches the color of the zipper or it's predominantly that color. Linings will also vary from case to case. Please be sure to see the detailed photos here for an example of each color. Zipper colors available include: pink, red, orange, yellow, green, aqua, blue, purple, and white. I'm offering you the chance to pick your choice of zipper color! Choose your color choice from the drop-down menu on Paypal. There are a limited number of pencil cases available so shop first to get the case you want. U.S shipping only at this time. I'm apologize but I haven't found a good way to calculate shipping to other countries through Paypal. I hope to fix this in the future. Thank you for your interest in the rainbow zipper pencil cases. I appreciate your excitement and support! Price is $24.99 + shipping. ** NOTE TO BUYERS *** If the link below the photo does not take you to Paypal, it means the item(s) have sold out. More are coming soon! Please DO NOT send money directly to my email address. Thank you! To create my pillow, I first die cut rainbows from Taylored Expressions Red Hot, Carrot, Butter, Avocado, Robins' Egg, Blue Jeans, and Orchid felt using the Lawn Fawn Rainbow die. You will have a lot of leftover curved rainbows so make more non-traditional rainbows (out of order colors) or roll those into little flowers and hot glue them so you don't waste any of this gorgeous felt.The green pieces would make fantastic flower stems. I'm sure there are many other creative ideas for the leftover pieces too! I usually keep my scraps in a bin for when I need one. The felt on it's own isn't sturdy enough for machine stitching (it could pull easily) so next I die cut a piece of fusible interfacing with the Rainbow die and ironed the felt pieces to the interfacing to give it stability. This step is really important if you're planning on machine stitching like I did here. I also think if you would choose to hand stitch them in place, it will help give the design more stability. The clouds were die cut from Taylored Expressions Marshmallow felt using thePuffy Clouds and also backed with fusible interfacing. The little heart was die cut from Red Hot using the smallest Lawn Fawn Hearts die. Two pieces of fabric were cut for the design (polka dot for the front, and a blue ombre for the back. Both are 6 1/2" squares (the pillow will be 6" finished). Each square was backed with fusible interfacing to make the little decorative pillow more sturdy and also for the front it gives stability when die cutting the Embroidered Hello. I ran the panel through my Big Shot with the Embroidered Hello die. I machine blanket stitched each color of the rainbow using coordinating thread and then machine stitched the cloud on the left. I used #10 blue crochet thread (from Hobby Lobby) to hand back stitch the word "hello" before finishing the machine stitching of the two additional clouds and the little heart. I placed the front decorative panel and back panel, front to front and pinned them together. I sewed around the edges with a 1/4" seam, leaving a small opening for turning in the bottom. I trimmed the corners and then turned the mini pillow right side out and ironed it flat before stuffing with polyester filberfill and hand stitching the opening closed. Little zippered pouches are a great way to store anything from a little on-the-go sewing kit to cosmetics or other essentials. Tuck one in a to-go bag and you’re all set!. And they're addictive! Once you've made one, you will want to make a bunch of them! I love to use them in my sewing room to store binding clips, safety pins for basting and other sewing tools. Sorting everything into their own bag makes it easy to grab just what I need for any given project. I also keep a small bag handy with needles, thread and small scissors for that I can grab for those evenings when I’m sitting on the couch watching t.v. and sewing on bindings, etc. I grabbed a bunch of scraps of my favorite Bella Blvd floral, hearts, and polka dot fabrics that match the wonderful Military Max Plaid yardage and sewed up five of zippered bags using THIS pattern. I had previously purchased this pattern and sewn some bags so I knew I liked it however if you’re looking to try out a zippered bag I’ve found a couple tutorials online that look good. THIS one is for a large zippered bag (similar to the largest one I made) and THIS one says it’s good for beginners and doesn’t have the boxed corners on the bottom. 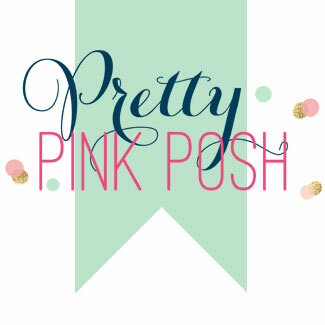 A search on Pinterest will show you many more tutorials and patterns as well! I really love how well this plaid fabric coordinates with some of my all-time favorite prints from past Bella Blvd collections! I made my bags more feminine but you could easily change up the top print on any of these for more masculine bags. Each bag is lined with a coordinating Bella Blvd pattern or solid. Consider lining the bags with a laminated fabric if you’re going to be using them for cosmetics. These little bags sew up so easy and fast and you will be sewing up little bags with all your fabric scraps! I was so excited to see the fabulous Military Max Fabric Collection by Bella Blvd for Riley Blake Designs. Sometimes it can be tricky to find great fabrics for those older boys in our lives and this collection works for every age guy! My 9 year old was so taken with the army men and skull and crossbones patterns in this collection that I sewed him up a quilt and drawstring backpack. I used the Cluck Cluck Sew Tango Pattern for my quilt (throw size: 56" x 70") and it was super simple to put together. I cut all my fabric one afternoon, sewed up all the blocks another day and then put the whole thing together in another! I love the random block placement as well as the assortment of different block styles. 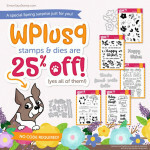 I used 16 - 1/4" yard prints and solids from the Military Max Collection, mixing in some black/white prints from older Riley Blake Bella Blvd Collections Puppy Park and Too Cute To Spook for a bit more variety (these are both out of print but you could mix in any other black/white prints you have on hand). The back of the quilt is the Military Plaid Gray and I bound the quilt with the Military Camo Black. A couple of years ago I shared THESE drawstring backpacks I made for my two youngest. My youngest son felt like his “babyish” drawstring bag needed an update so I sewed up this quick bag with the awesome black/gray Military Max cottons and he couldn’t be happier. Win! Place the 14.5” x 4.5” piece of fabric (Military Camo Black) on top of the 14.5” x 12.5” piece of fabric (Military Skulls Black), right sides together and sew together to make the front of the bag. Repeat for the back of the bag. Iron the seam down. *Iron fusible interfacing to the back of each of the front panels of the bag to create a sturdier bag. Top stitch 1/4” from where the two fabrics meet on the front and back panels for a nice finished look. On the 14” x 2” tunnel strips, iron in approximately 1/4” on each short side and stitch in place. Fold each strip in half lengthwise and iron. Do this for each tunnel. Line the raw edges of the tunnel up with the raw edge of the front of the bag. Pin and machine baste in place. Repeat for the back of the bag. We will secure the tunnels to the bag a bit later. On the bottom corners of the bag, trim a 1.5” square from each corner. Fold twill tape in half and pin about 3/4” to 1” above trimmed corners. Pin the loops to the bag. Pin the front panel to the back panel of the bag, right sides together and sew each side and the bottom of the bag. Leave the corners unstitched. Pinch the corners of the bottom of the bag together, lining up the seams and pin together. Stitch to secure. Do this for both bottom corners of the bag. For the lining, put the two pieces of lining fabric right sides together and trim trim a 1.5” square from each bottom corner. Sew each side and the bottom of the bag, leaving a bit of an opening in the bottom for turning the back right side out. Pinch the corners of the bottom of the bag together, lining up the seams and pin together. Stitch to secure. Do this for both bottom corners of the bag. Place the lining inside the outer bag, right sides together, and pin all the way around, making sure the seams line up, and stitch. Put your hand inside the bag and pull bag right side out through the opening in the lining. Stitch the opening in the lining shut and stuff lining down inside the bag. Take cording or ribbon and place a safety pin through one end. Thread one piece of cording through the right tunnel of the bag, ending on the right side through the other side of the bag. Thread the other piece through the left tunnel of the bag, ending on the left side of the bag. Put one piece of the string through the loop on the side of the bag and knot. Repeat on the other side. Introductions are happening over on the Bella Blvd Blog and today you can read a bit about me (if you don't already know) and see a couple of pictures of some Bella Blvd fabric projects. More photos on my projects (plus information on each) is shown below in this blog post. Be sure to check out the Bella Blvd Blog to learn more about all the 2015 designers! I love changing out my kitchen linens seasonally from my favorite fabrics plus I love fabric napkins as a fabulous “green” option as opposed to paper products! To welcome in the spring and summer months I combined my favorite fabrics from the Sunny Happy Skies, Summer Breeze, and Snapshots collections for a set of quilted placemats, napkins, a quilted potholder and an embellished towel. For the quilted placemats I used a free tutorial for Patchwork Placemats from Sew4Home.com. I mixed and matched my favorite 2 1/2” fabric strips from the Bella Blvd collections for the patchwork border along the right side of the placemats with my all-time favorite floral print from the Sunny Happy Skies Collection. I backed each of the placemats with a different tone-on-tone print and used a blue stripe fabric to bind each of them. The napkins all a single piece of fabric featuring mitered corners which give a professional looking finish for even casual napkins. I love the way the mitering looks on the backside. I topstitched twice around each napkin. The napkins measure approximately 16” square. I loosely followed a tutorial from THIS book from Sweetwater (another of my favorite fabric companies). I love the simplicity of simple embellished kitchen towels that match the rest of the kitchen linens. I took a basic white tea towel and using THIS tutorial (and adjusting the measurements for the width of the tea towel) I made a cheerful towel with lovely prairie points that brightens up the kitchen! I finished the kitchen collection with a double potholder made with leftover fabric scraps from all the other projects. The back of the potholder is the same patchwork 2 1/2” strips from the placemats, the pockets are my favorite floral print and I used a strip of yellow tone-on-tone fabric for the front. When sewing potholders, make sure you use a product like Insul-Bright instead of traditional batting to protect your hands from hot dishes! Want to make your own bright Cherry Limeade Cupcakes? Check out THIS recipe I found on Pinterest! I've had some requests to share my favorite quilting tools. While I don't have a dedicated post up and ready with that info yet, many of my favorite tools are already listed in my Amazon Store HERE. That will take you to my store HERE where I've linked to a bunch of the supplies I use for quilting. :) I'm working on a blog post with more in depth information on what I use so stay tuned! My goal for 2015 is to make a bit more time for something that I really enjoy by spending a bit more time at my sewing machine. Life can be busy and crazy and hectic but those few minutes or hours of enjoyment that come from creating something with your own two hands, no matter what the craft, can make a heart happy and fulfilled. If you follow my on Instagram, you may have noticed I've been sharing quite a few pictures of another kind of craft, quilting. I was bit by the quilting bug a couple of years ago and have since found it a great outlet for creativity. When your job is paper crafting sometimes you just want to be able to step away at the end of the day and do something different. This past week I finished up the Shortcake Quilt (pattern by Allison Harris of Cluck Cluck Sew). I had cut all the fabric for this quilt almost two years ago in anticipation of giving this quilt to a niece for her first birthday however I got completely sidetracked by life and never got it pieced, let alone quilted. Over Christmas break, I decided to sew it up while getting caught up on the past 4 1/2 seasons of The Walking Dead (I know, I know.... strange choice of viewing material for sewing up a sweet blanket for a little girl but my older two kids have been nagging me to watch it so that I can view it with them on Sunday evenings when it comes back in February so I finally took the plunge....I"m addicted). I got the whole quilt pieced really quickly (this pattern goes together SO fast) and once I had the quilt top pieced I straight line quilted it in one evening. I'm extremely happy with how it turned out and the best news is that I think my 3 year old niece loved it when we gave it to her at her birthday party yesterday! Fabric is Posy by Aneela Hoey for Moda. My next project? The Swoon Quilt by Camille Roskelley. I've been wanting to sew this one up since I saw it in her Craftsy Class, Pre-Cut PIecing, and I've finally taken the plunge. I have about two of blocks sewn up (they are huge!) and seven more to go! I've had some requests to share my favorite quilting tools and if there's enough interest I will dedicate a post to it here. 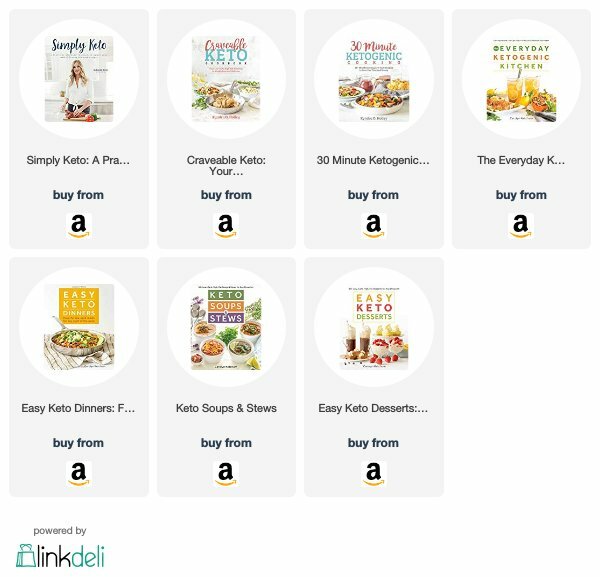 In the meantime, click HERE to visit my Amazon Store where I've linked to quite a few of the tools that I use and love for sewing and quilting. To view any of my past quilting or sewing projects, click HERE. It is a borderline obsession. Fabric, for me, is like patterned paper. You need to have it on hand so that you can sew something up when the mood strikes. I wish I made more time for sewing and quilting because my to-do list and fabric stash keeps growing but my completed projects.... not so much. I took a little time yesterday to whip up a trio of throw pillows for our family room (more coordinating pillows to come just as soon as I run to the store for more invisible zippers (my favorite way to create removable pillow covers) and muslin (to line the fabric I'm using for the outside. makes them more substantial and sturdy). I went with my current favorite color combination: royal blue + aqua + yellow. These are very basic pillows, nothing fancy but I kind of like that in my pillows. The patterns of the fabrics speak for themselves. I'm thinking I'll make a scrappy quilt with the leftover fabric after I'm done making pillows. I followed THIS tutorial from the Sew Katie Did Blog for invisible zippers. And I used this invisible zipper foot for my Janome Horizon Machine (Janome Concealed Zipper Foot for Horizontal Rotary Hook Models ). Inexpensive and worth it's weight in gold. If you're wanting to make pillow covers with invisible zippers, this thing is worth it's weight in gold. Seriously. There are a multitude of great invisible zipper foots out there for almost any brand/style of sewing machine. I did a quick search on Amazon and tons of zipper foots came up: Zipper Foots . There's a great older print from Lotta Jansdotter's Bella Collection (the royal blue floral), more fun prints from the Zen Chic Sphere Collection for Moda Fabrics (the 3 I already made, the white with navy), Sun Prints Text Fabric by Alison Glass for Andover Fabrics, Bonnie & Camille April Showers (yellow/white stripe diagonal) and I'm going to incorporate some of my most favorite new Michael Miller fabrics from the Glitz Collection (the white with gold glitz in polka dots and chevron). *The Michael Miller Glitz white/gold fabrics are waitlisted because they've been so popular. 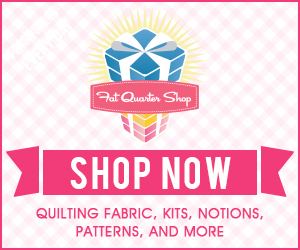 Be sure if you like hording fabric and sewing, you get on the waitlist at Fat Quarter Shop to be notified when they are back in stock! I'm off to a middle school track meet. A new watercolor-ish card and video tutorial (this one just in time for Mother's Day) is coming tomorrow! See you then! 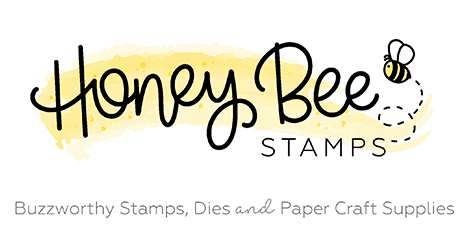 What classes have I personally taken at Craftsy? 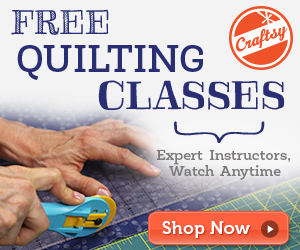 Currently, I have purchased and completely loved the following quilting classes from Craftsy! They are high quality, enjoyable to watch, easy to navigate and I have learned so, so much from these talented ladies! If you love Moda fabrics from Bonnie & Camille or Fig Tree Quilts and/or want to learn how these talented quilters make such amazing quilts, I highly, highly recommend these classes!!! Want to see a sneaks of a couple of blocks I've made from a two of these classes? It's only blocks at this point but I will be sewing many, many more block and will be sharing my quilts when I'm done! Follow me on Instagram where I post photos of my quilting endeavors! First up, here's a block I made using the Swoon Pattern included with Craftsy Pre-Cut Piecing Made Simple Class with Camille Roskelley. I'm thinking this maybe will be a quilt for the master bedroom. ;) I'm in love with this pattern. And as you can see, the blocks are BIG. (24 1/2" square unfinished). Love it! Next, I started this Halloween inspired Spools Quilt from Simple Fresh Quilts - Joanna Figueroa but didn't get it done in time for this Halloween but it should be all ready to go by next year or the year after. ha! I love the colors and the spools design. This quilt would be amazing with any color scheme or theme! I love making seasonal themed quilts to throw on the back of the couch and to snuggle up in any time of the year! Finally, ages and ages ago, okay so it was over a year ago... I shared sneaks of this next quilt HERE and although I finished it a few months back I hadn't gotten around to photographing or sharing the finished thing. I adore it. The colors. The design. I used the Skipping Squares pattern from Cluck Cluck Sew. I love it and I will use it again and again! It's really fun to sew. The majority of the fabrics are from Lotta Jansdotter's Bella collection. I'm also using the great text fabric (Concrete Sewing Guide) from Sweetwater's Mama Said Sew collection for Moda. I bought a bit of this to have on hand. Great text fabrics make me happy. The orange and gray polka dots and orange and gray leaves are some from my "favorites" stash, Half Moon by Moda. I wish it was still available. The colors are so super yummy. The white is Moda's Bella Solids Snow. Here's the back. I had one extra block so I worked it into the backing and I love the fun touch it adds!